As part of our dynamic growth strategy, DEXON Foundation is proud to announce the newest addition to the DEXON ecosystem — introducing DEXON Capital & Lab! DEXON Capital & Lab (DCL) makes strategic investments in blockchain-focused businesses, including, but not limited to projects in industries such as gaming, e-commerce, consumer technology, and P2P finance. DCL can provide incubation and enterprise solutions for blockchain projects. At the same time, DEXON Capital & Lab leverages DEXON Foundation’s capacity for blockchain development and provide distributed ledger technology (DLT) solutions. DCL aims to achieve sustainable utilization of the DEXON ecosystem by supporting innovative entrepreneurs/businesses, and building a blockchain enabled future, together. DCL is designated by the DEXON Foundation to grow its ecosystem. By connecting business partners and DEXON Foundation’s technological reach, DEXON Capital & Lab delivers resources and business supports to the projects built on DEXON. 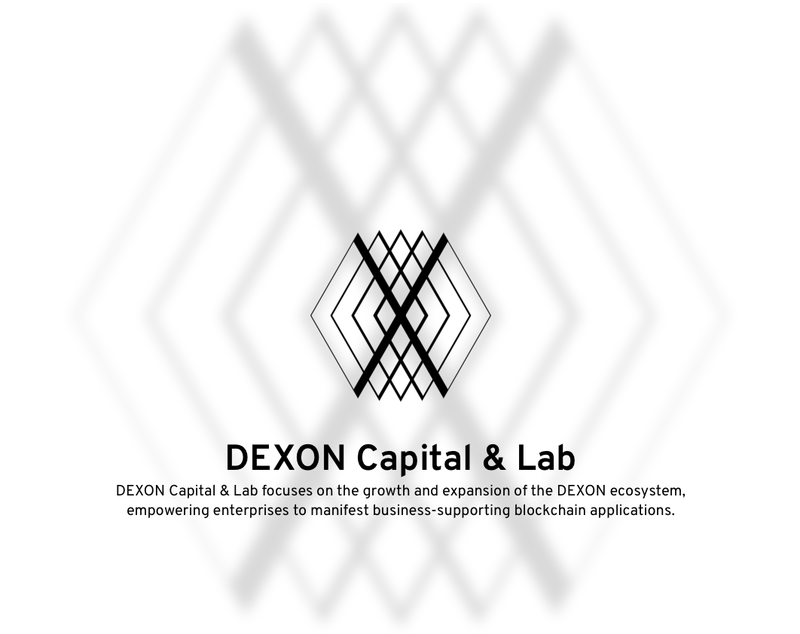 DEXON Capital & Lab focuses on the growth and expansion of the DEXON ecosystem, empowering enterprises to manifest business-supporting blockchain applications. We’re now open for applications of blockchain projects, industry experts, and any business partners who are interested in building applications on DEXON. How is DCL funded? Is it from the PP/public sale/COBINHOOD? A: DCL’s funding is from the Ecosystem building allocation as stated in the whitepaper. How will DCL fund blockchain projects? Fiat, DXN, other cryptos? A: It will be on a case-by-case basis. But the funding source is from the Ecosystem building allocation as stated in the whitepaper. How will DCL distribute the revenue earned from both investment and incubation businesses? A: The revenue earned by DEXON Capital & Lab, deducting cost and reserve for operations, will continuously be dedicated to the growth of DEXON’s ecosystem. What’s the difference between the purpose of DCL and COBINHOOD for DEXON’s growth? A: Both entities will continue to play a significant role in building a comprehensive blockchain ecosystem powered by our cutting-edge technology and services. DCL is dedicated to making DEXON’s ecosystem thrive, exclusively, while COBINHOOD emphasizes on providing diverse innovative services to the broader crypto and blockchain market.